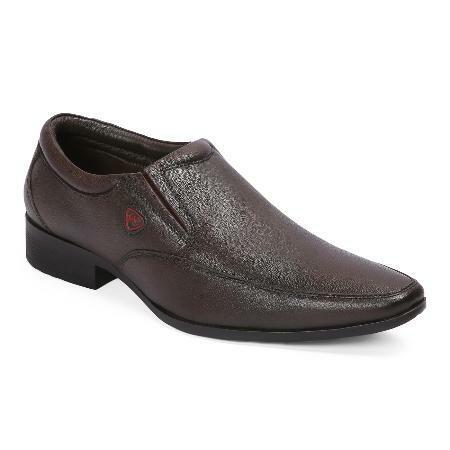 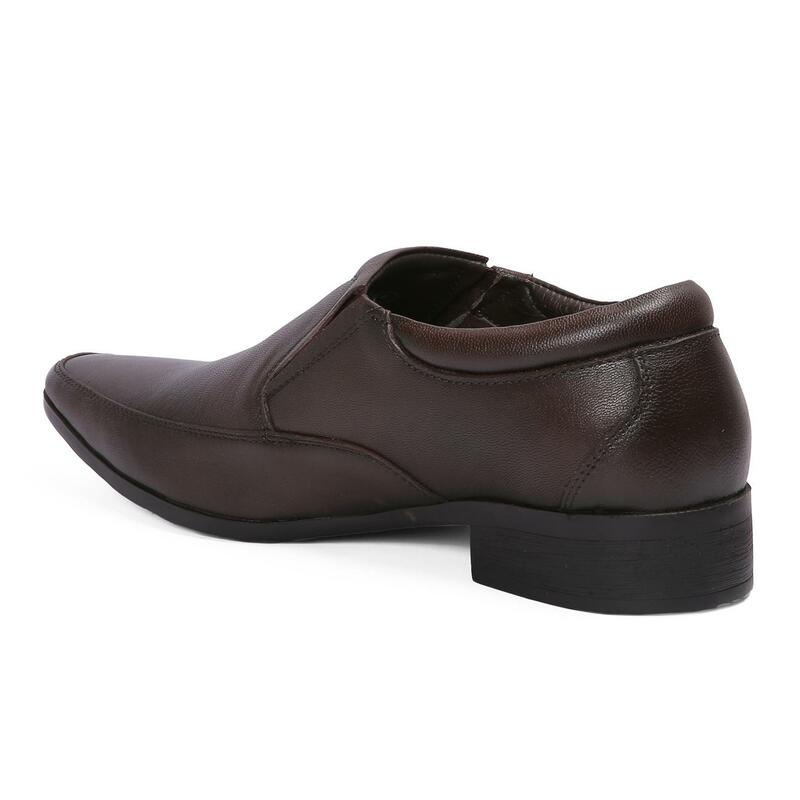 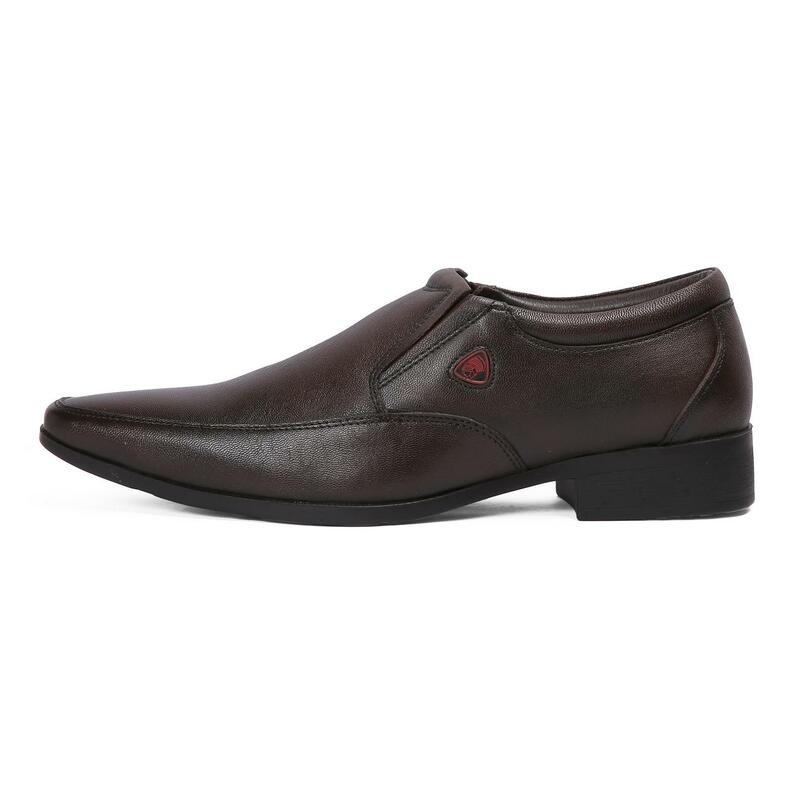 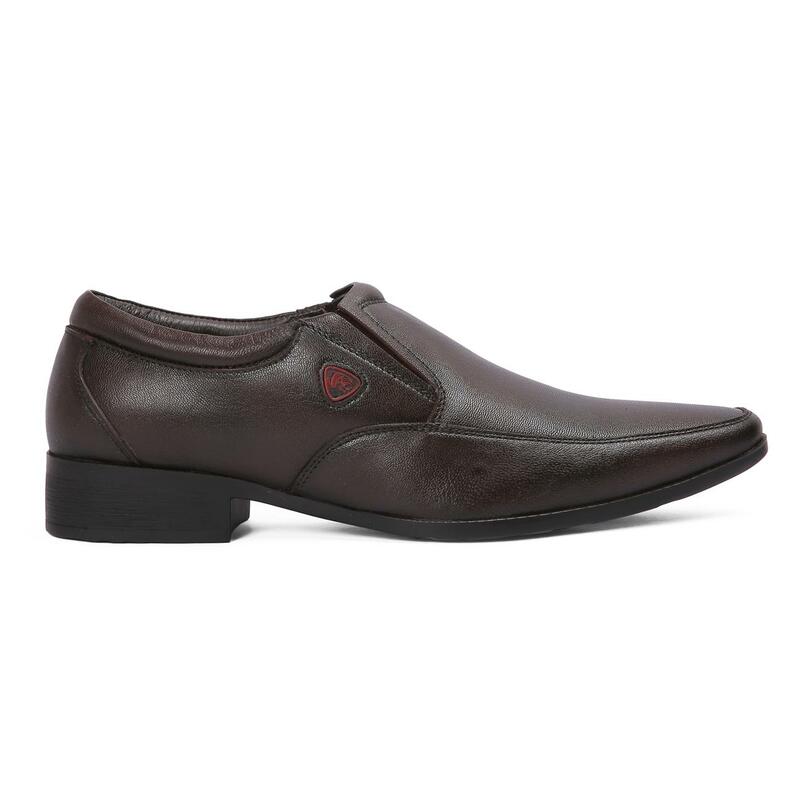 Sleek and stylish, this pair of brown formal shoes from Red Chief will surely strike a fancy with fashion savvy men. 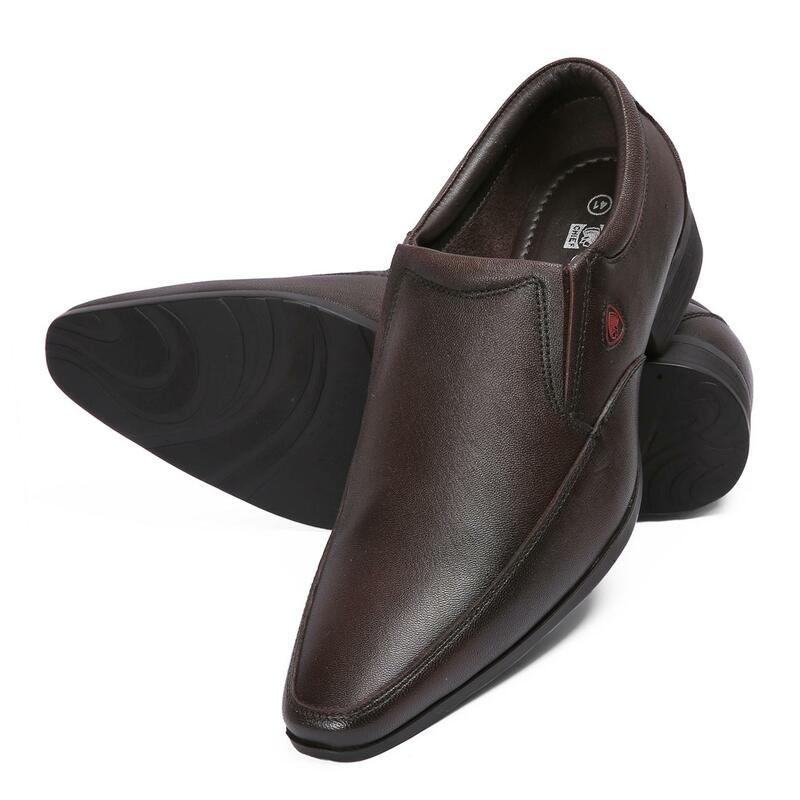 Featuring a sleek finish and elasticated side tabs, these slip-ons are high on style. 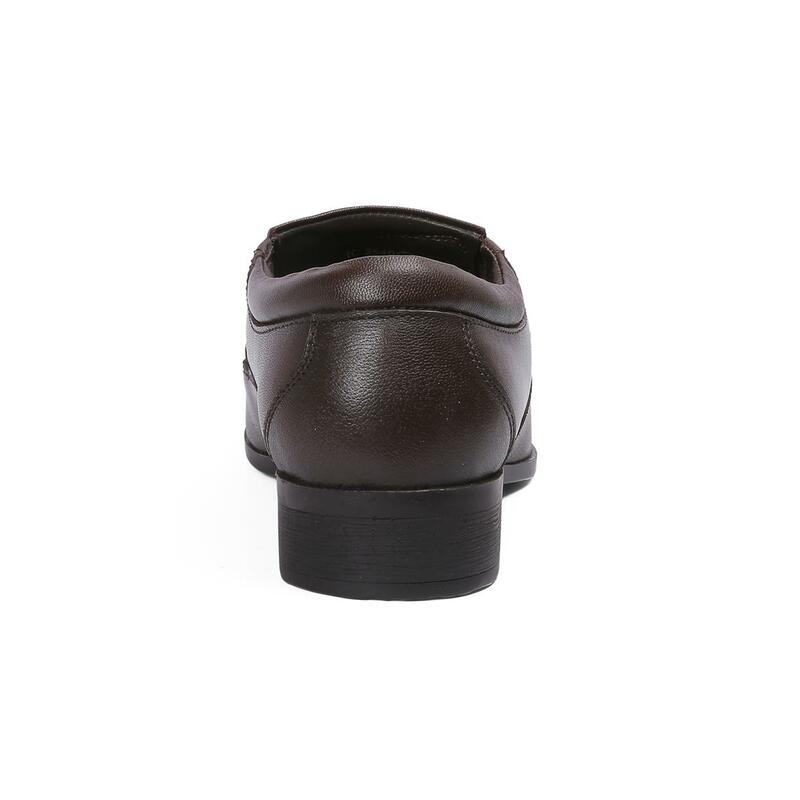 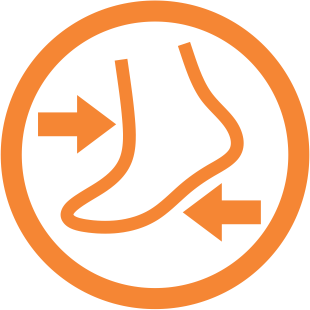 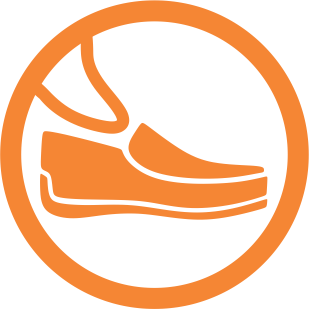 These have a leather lining that offer durability as well as optimum wearing comfort, while the PU (polyurethane) sole offers a strong, sturdy grip. 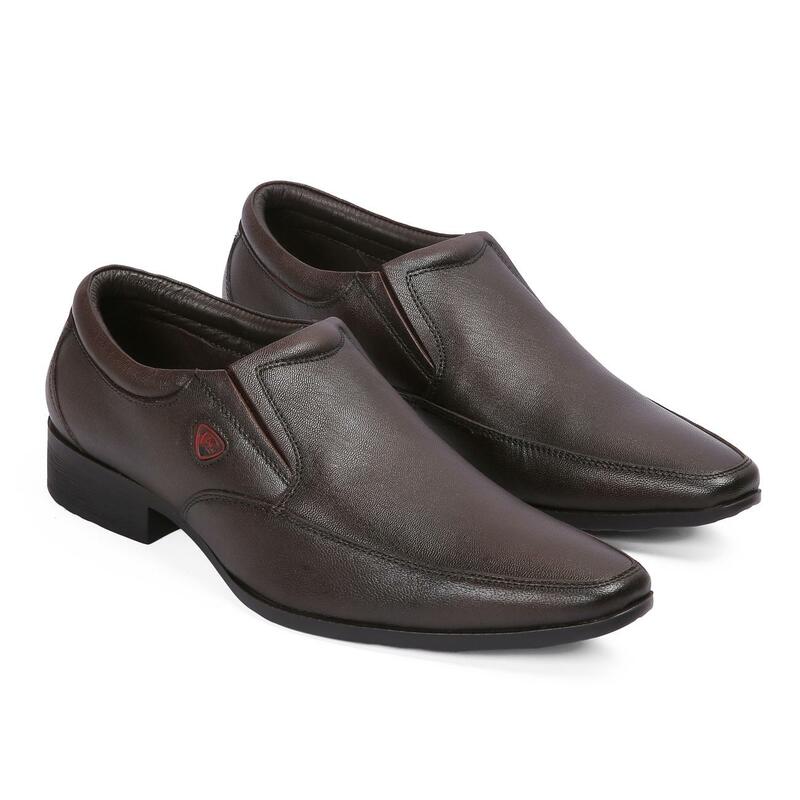 These shoes can be teamed with a pair of dark grey trousers and a pinstripe shirt to look your best.